N Acetyl-L-Cysteine (NAC) is commonly associated with glutathione due to their close relationship. Glutathione consists of L-glutamic acid, glycine and L-cysteine. We get an ample amount of L-glutamic acid and glycine in the average diet, L-cysteine is the rate limiting factor in the body’s natural glutathione production. Like other antioxidants, reducing cellular toxicity is one of the premier functions of N Acetyl-L-Cysteine. A popular clinical use for NAC is as a treatment for acute liver toxicity due to acetaminophen poisoning. By supporting NAC levels, the liver is able to clear away the harmful toxins and regain normal function. Just going to show how integral this antioxidant is for our liver health and detoxing capabilities. Free radical accumulation and oxidative stress contribute to an accelerated aging process. Accumulation of harmful toxins and heavy metals that flood the body with free radicals and oxidative damage compound the problem as we age. Leaving the body increasingly vulnerable to further damage and toxic overload throughout the aging process. Reducing total body toxicity levels helps turn back the hands of time, and not just by improving the appearance and health of the skin, hair and nails. Neurodegenerative diseases are a growing concern in our increasingly toxic environment and diet. Common disorders like Alzheimer’s Disease are occurring more frequently and earlier than ever before. Major contributing factors for the development of Alzheimer’s Disease include heavy metal toxicity in the brain and nervous system, causing severe oxidative damage. Heavy metals are exceptionally difficult for the body to get rid of naturally, allowing these harmful substances to accumulate over years and decades until they manifest into severe, life threatening neurodegenerative disorders. During periods of physical stress and strain, cells are required to increase energy production. The natural byproduct of cellular energy production is free radicals, meaning the body is flooded with harmful free radicals during a workout. N Acetyl-L-Cysteine helps to neutralize these free radicals immediately, limiting the damage they cause. This helps combat oxidative damage to the cells as well as limits the accumulation of peroxides during physical activity. The core concept of bodybuilding and exercise in general, is to break down muscle tissue in order to re-build it. This causes an immense strain on the body, impacting immune function and energy levels. Supplementing with N Acetyl-L-Cysteine can help negate the harmful byproducts of exercise in order to optimize physical performance, energy production and the recovery process. As if an improve immune function, increased athletic performance, reduced recovery time and anti-aging benefits weren’t enough, NAC goes a step further to enhance your life and well-being. The flu or influenza virus plagues most people once or twice each year. It is a stubborn virus that can last for days or weeks, with a wide range of unpleasant symptoms. The importance of antioxidants are not secret, they are vital to our health and well-being. By improving your antioxidant status with powerful supplements like N Acetyl-L-Cysteine, you are promoting the production of the most powerful, natural antioxidant; glutathione. Improved antioxidant levels translate into a plethora of health and fitness benefits. Helping to enhance the health and function of every bodily system and process. Science that makes sense and results you can prove. 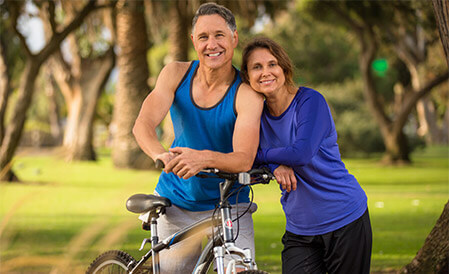 Noticeably improve your health and your life with N Acetyl-L-Cysteine.